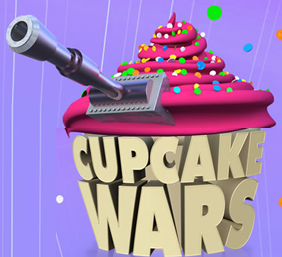 Cupcake Wars is so much fun to watch!! I watch it every morning, on Food Network UK, during breakfast. The best part is the second challenge when they have to make 3 cupcakes based 50% on flavour and 50% decorations. I love seeing the bakers be so creative under pressure! Check it out! I love reading comments! Thanks for stopping by!! Paul Hollywood's Ultimate Carrot Cake!! Ulitmate Bake-Off! Visit United Cakedom's profile on Pinterest.